I love the time we live in now. The technology. The excitement. The innovations in so many areas - art, cooking, science. But I'm saddened when I think about our descendants. What will they find as they search for us? We don't go to portrait studios as our ancestors did. There will be very few formal photos of us in our Sunday best. No gorgeous leather bound photo albums full of studio photographs. We use our cell phones or our iPads to take quick unposed photos of moments - the birth of a child, a wedding, a vacation, a graduation. But do we print those pictures or do they stay in digital format? If we don't print and preserve them in some way, what picture memories will our descendants find? 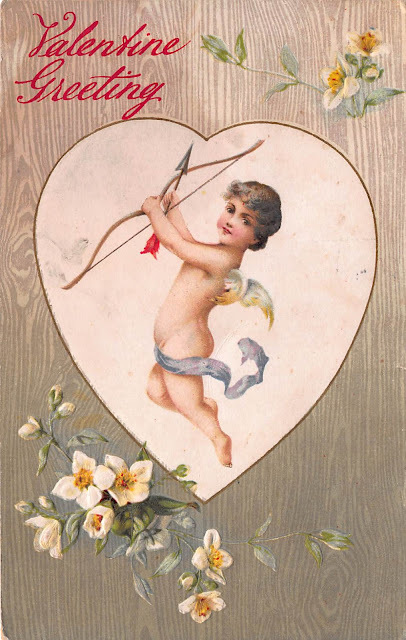 Think of our excitement when we find a letter written by an ancestor to a loved one. 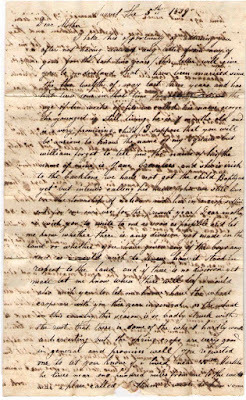 In my own research I stumbled on several letters written by my 2nd great grandfather to his mother in the early 1800s. 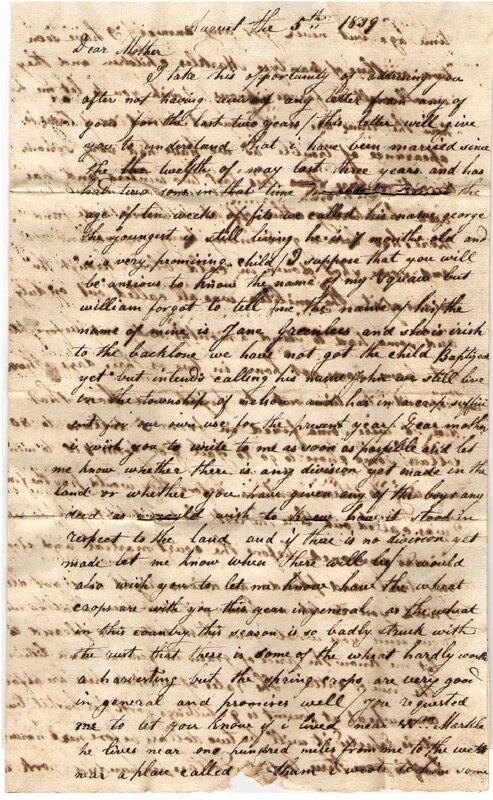 I was also lucky enough to have a letter written by an ancestor in the mid 1600s turn up in letters rescued from ships, then translated and put online. But here's the question - how many hand written letters have you sent to family or friends in the past year? I've sent none. In fact I can go back many years and say I've sent no letters that could be preserved, tucked away in an attic or a closet and discovered by a descendant in the future. 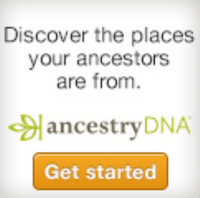 Yes our descendants will have many advantages in genealogy that we don't have. 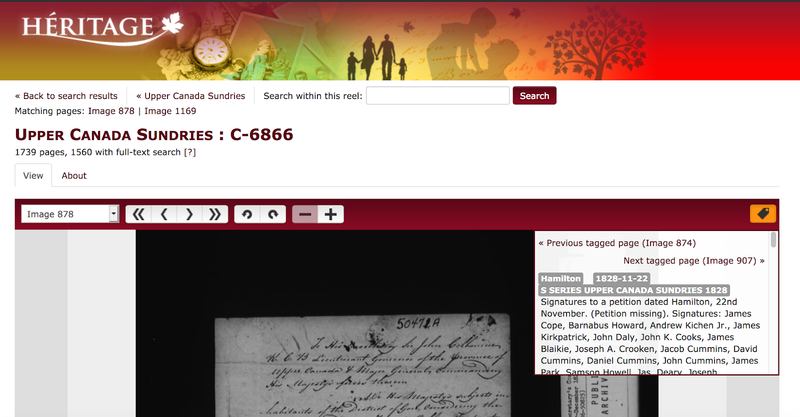 Right now we're seeing records being digitized and made available to the public at a record pace. But imagine how much will be at our descendants' fingertips 100 years from now, even 25 years from now. But the loss will almost certainly be in getting a sense of who the ancestor was, who WE were as individuals who cry, mourn, love and feel joy. Letters, diaries, and photos put a layer on an individual that can't be known any other way. Because overall I feel sad that most of us will leave very few candid or posed photographs, and very few hand-written letters, I began a personal project to create and publish photo books for my children and grand-children. It is my hope that some will survive and be passed on down through the generations. Every year I also write and publish privately to share with my children, my memories of childhood, of my parents and grandparents. I also published a small guide with ideas on writing your memoirs and sharing your memories with family. Are you doing anything to make sure your descendants will have some special items in the future? It's never too late to start. 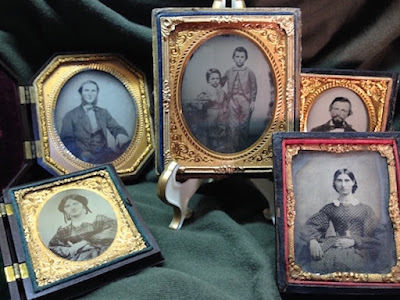 I am often asked why I created Olive Tree Genealogy. After my husband died in 1993 and I was injured at school by a student, my enforced inactivity allowed me to begin creating Olive Tree Genealogy site. Visitors are also intrigued by the name - how and why did I come up with it? My middle name is Olive and I am named after my paternal grandmother Olive McGinnis. So it seemed an obvious step to name my site after her (Olive) and after our "tree". 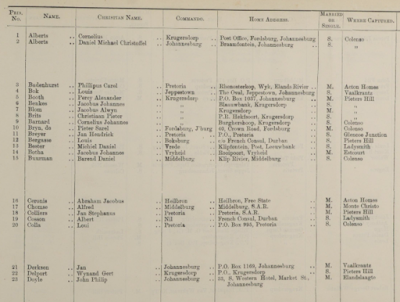 I started with one ships list which contained my ancestor Cornelis Van Slyke's name, then I wrote about Huguenots, Walloons, Loyalists and Palatines. The ships list was so popular and I received so many requests for more that I began hunting for more. 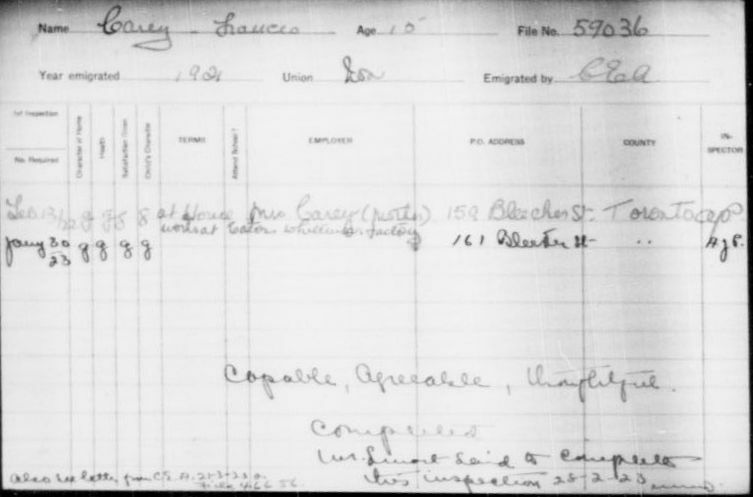 Now Olive Tree Genealogy has over 1,600 ships lists online. Look at me now! I am a dinosaur in Internet terms. 23 years is a very long life on the Internet. 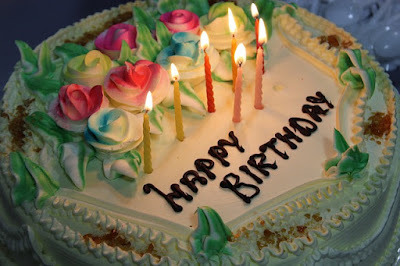 Wonder if I can last another 23! 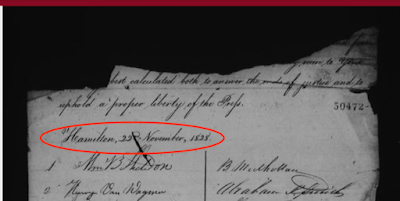 If you have not yet searched Almshouse records for an elusive ancestor, you're missing out on a great source of information. 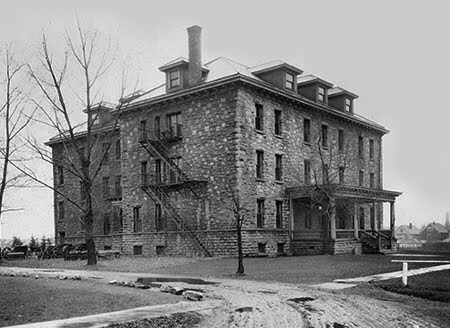 People were sent to the Almshouse (or Poorhouse) for reasons other than poverty. Children were sometimes sent if they were found living on the streets. 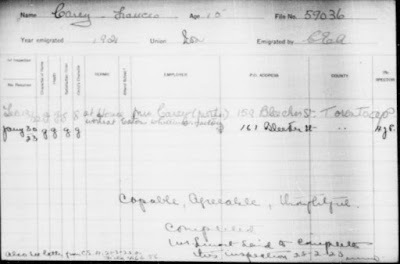 Of course as with all records on Olive Tree Genealogy, the three transcribed above are free to view. 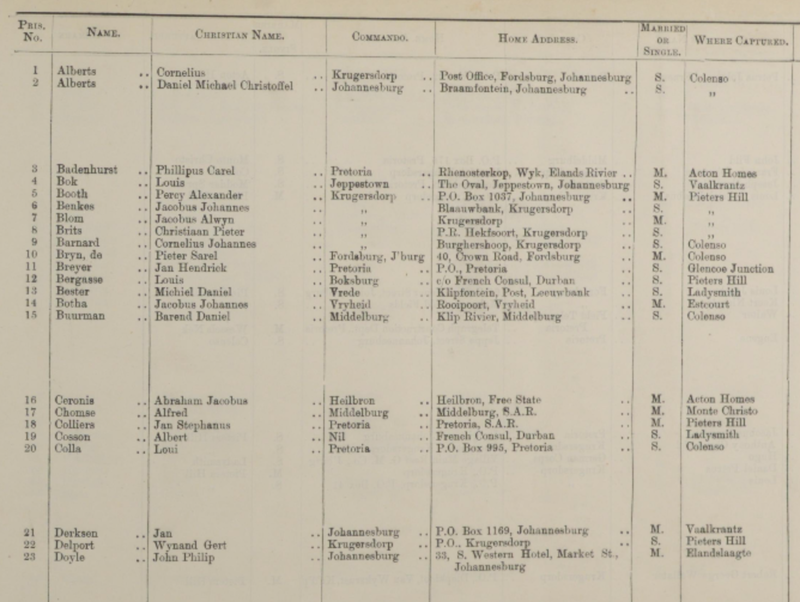 A little known set of records are those created in England for the Poor Law Union. Poor law unions were collections or groups of parishes brought together to administer poor relief. Earlier 'unions' were referred to as 'incorporations' and some of these existed until the 1860s. 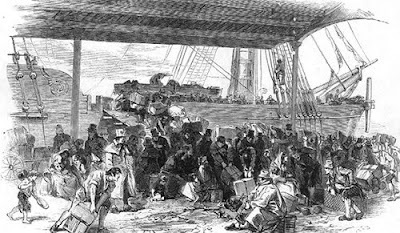 The Victorian poor law was predicated on the 'workhouse test'. This is where poor relief would be offered via the 'deterrent workhouse', designed to be an institution of last resort. The story of the Goeway family in New Netherland begins with Salomon Abelse who was baptised in Amsterdam Holland in 1617, and his wife Barber (Barbara) Phillipse who was baptised in 1619 in Amsterdam. 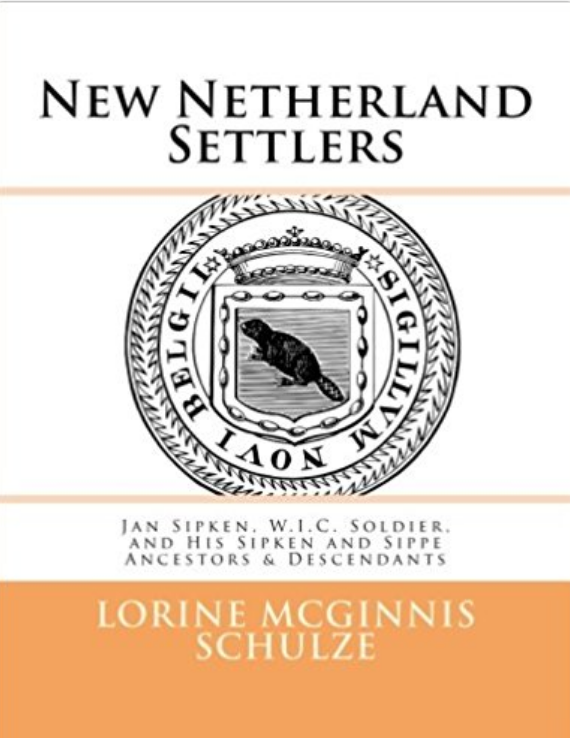 This book provides details of Salomon and Barber's ancestry as well as their siblings and descendants in Holland and New Netherland. Salomon's Freisland origins are also included. 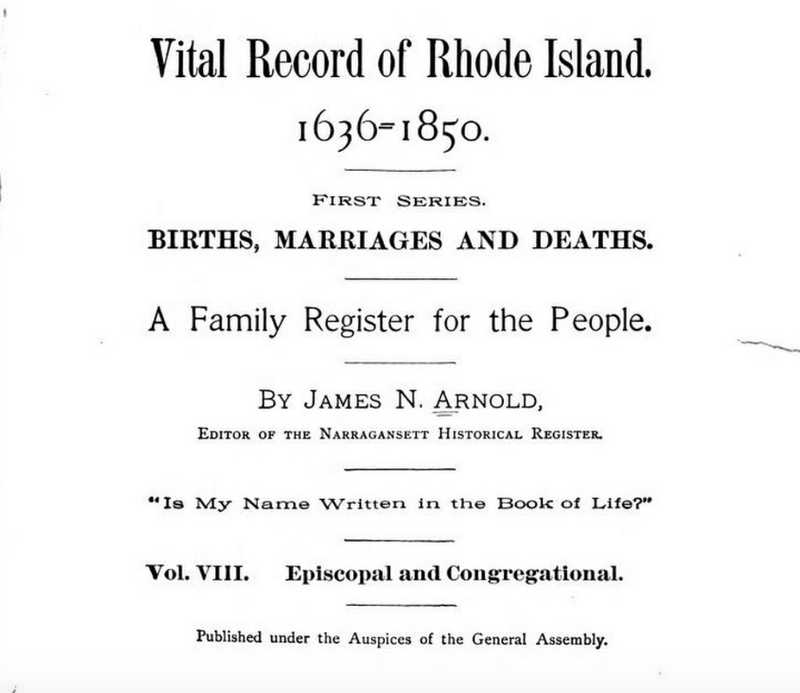 Diane Boumenot of One Rhode Island Family has gathered links to the free set of Vital Records of Rhode Island, 1636-1850, First Series: Births, Marriages and Deaths is a series of 21 volumes compiled by James N. Arnold. According to Diane "The volumes have been digitized and I have managed to find all of them available for free on the internet. Some of the copies are poor quality, however, they may be better than nothing if you are far from a library that holds these." 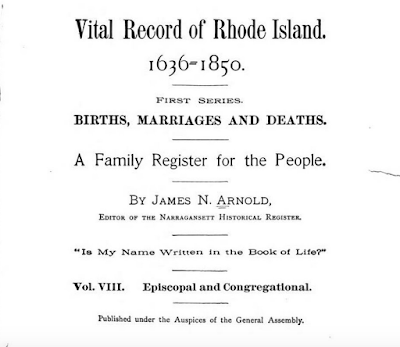 Thanks to Diane, anyone with Rhode Island ancestors will want to check out her blog and follow the links she has provided to view these records. Today is the Family day celebration for Alberta (AB), British Columbia (BC), New Brunswick (NB), Ontario (ON), and Saskatchewan (SK). 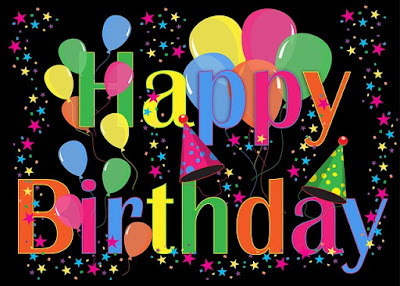 It is not celebrated in other parts of Canada. Family Day was originally created to give people time to spend with their families but it also provides a day off between New Years Day and Good Friday as they are approximately three months apart. Unfortunately, not everyone gets Family Day off, which makes it a debatable holiday in many provinces. It's a strange holiday in my opinion but family should be a top priority! Why else would we genealogists spend hours/days/weeks/months/years searching for ancestors if we didn't think family was important? This is some of my family in 2013. I had managed to gather most of them together at our home. 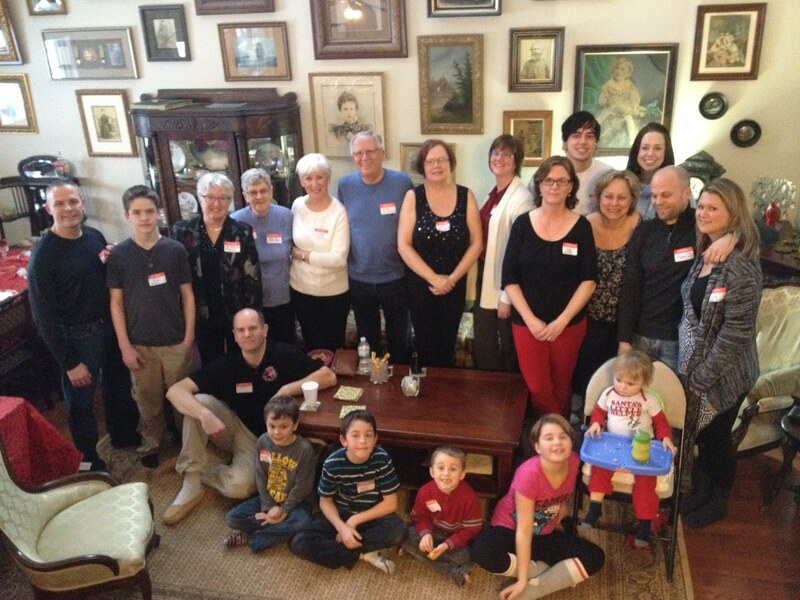 Only six of my ten grandchildren are in this photo. My eldest son and his family are not present. But with us that day were a brother and his wife, an aunt, a step-daughter and her children, also some assorted cousins. I'm standing in the middle wearing a scoop neck black sleeveless top, hands held in front. Funnily enough my only daughter is standing on my left, also wearing a scoop neck long sleeve black top, holding her hands in front. No one else is standing in that position - is it genetics? We are not doing anything for Family Day this year. What are you doing this year, or if you don't get this holiday, what have you done in the past? 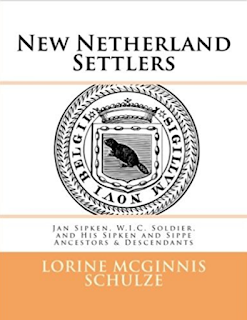 This book follows Adriaen and Clara in New Netherland and also provides information on their children and grandchildren. Tomorrow is Valentine's Day. 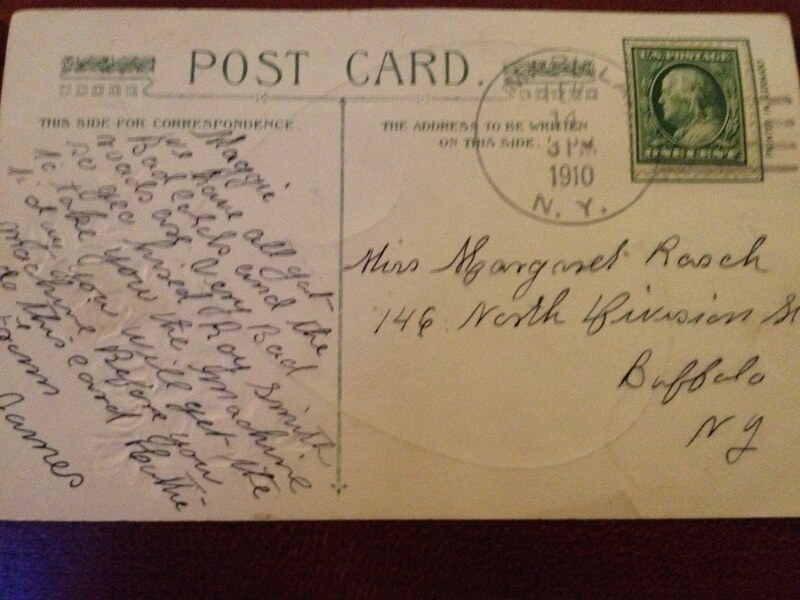 I thought my readers might like to see a vintage postcard sent by a young man (James) to his sweetheart Maggie Rosch in 1910. I love how James doesn't whisper sweet nothings or words of love to Maggie. Instead he complains about his bad cold, the roads which are also bad. Presumably they are snow covered. He ends by telling her that "the machine" is coming to her by way of another man and she will probably get it before she gets his card. He ends with "from James"! I hope if you receive a card or letter from your loved one, it is a little mushier than this one James wrote to Maggie. 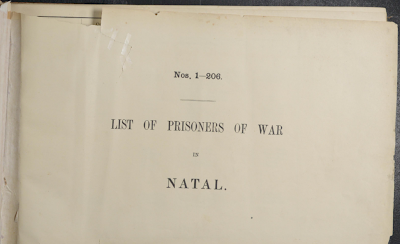 The entire Prisoners Of War 1715-1945 collection now contains over 2 million records. From the site: "The records are incredibly diverse and not only include military personnel, but also civilians, diplomats, missionaries and merchant seamen. 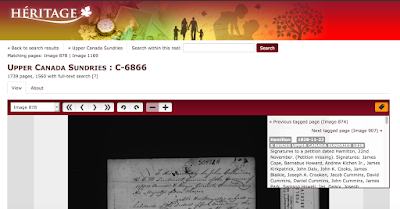 The nature of these documents varies owing to the enormous scope and scale of the collection. 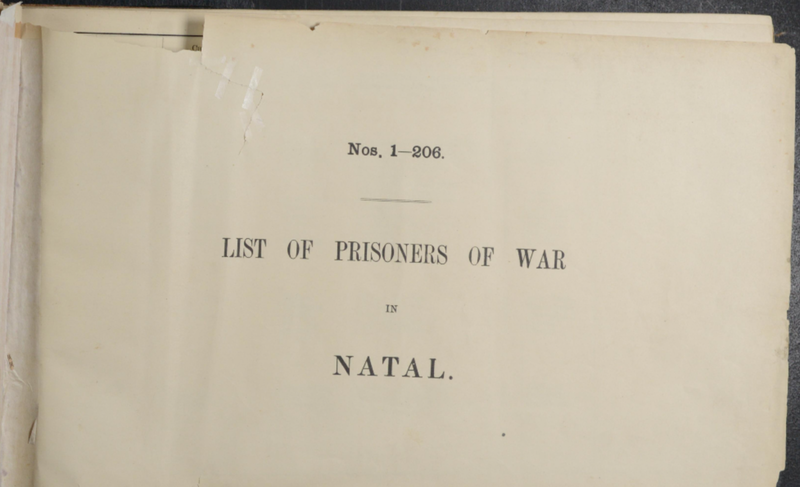 Some will consist of lists of deaths, files on escapees and detailed records of daily life, while others will reveal additional biographical details about individual inmates including physical descriptions, witness statements, medical reports and more."